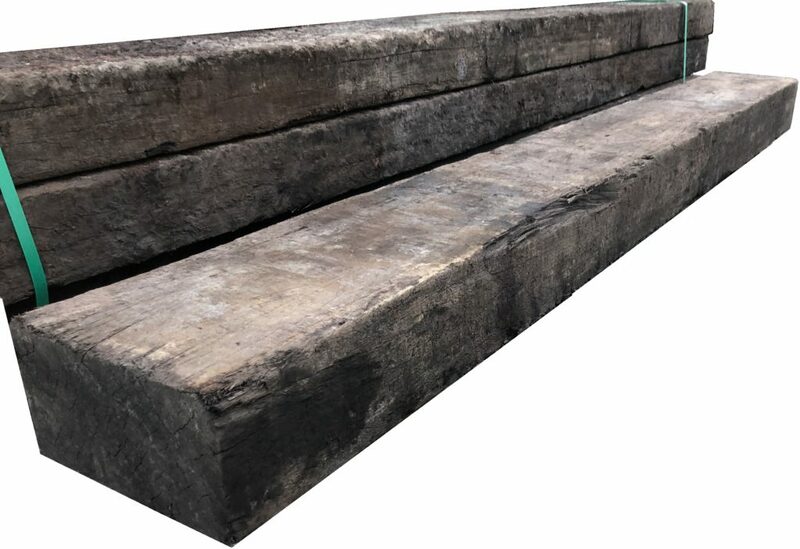 Used 2.6M to 4.1M length rustic sleepers. Weathered aesthetic, well formed on four sides. Ideal for use in high end interior features and long-term installations. Dimensions: 2600mm – 4100mm x 300mm x 140mm approx. Weight: 80 – 105kg per sleeper. Unique hardwood sleepers, great for quality and durability, order now.